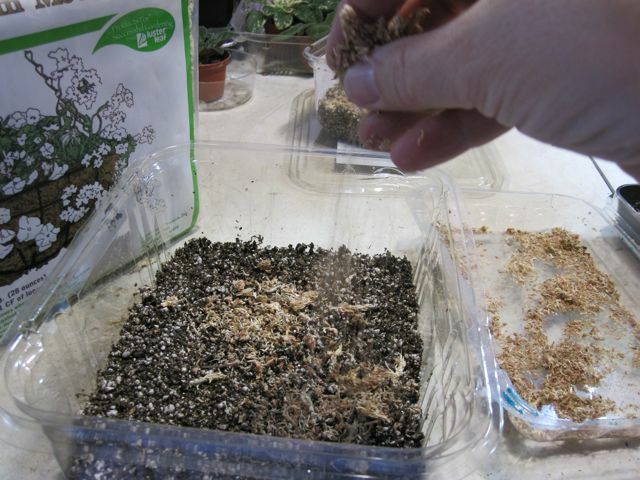 Here's a "how to do it" for planting African Violet seeds. 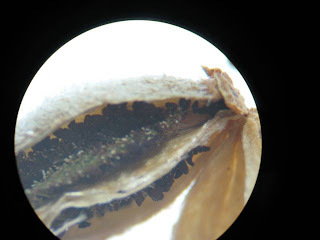 This is a seed pod from a "chimera" violet called Emerald City. It's got a green and white "chimera" or pinwheel pattern. Here's a visual set of photos about how to get the seed planted. 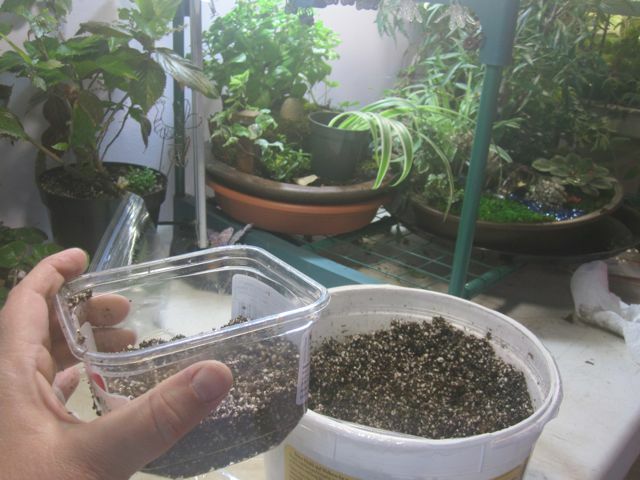 Take a clear container from the deli and put in pre-moistened soil mix. Make super sure the mix is only moist, not soggy, drippy, sloppy or soaking. Gently pat the soil mix in place, but do not pack it down. A smoother surface makes finding the baby plants a little easier. 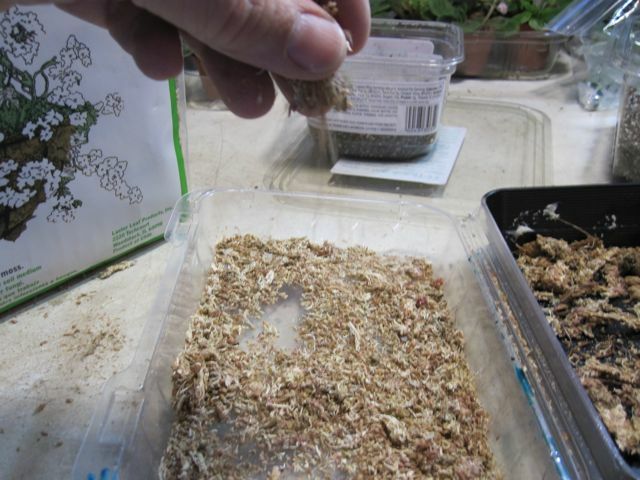 Some people say that powered sphagnum moss will inhibit some fungal problems. 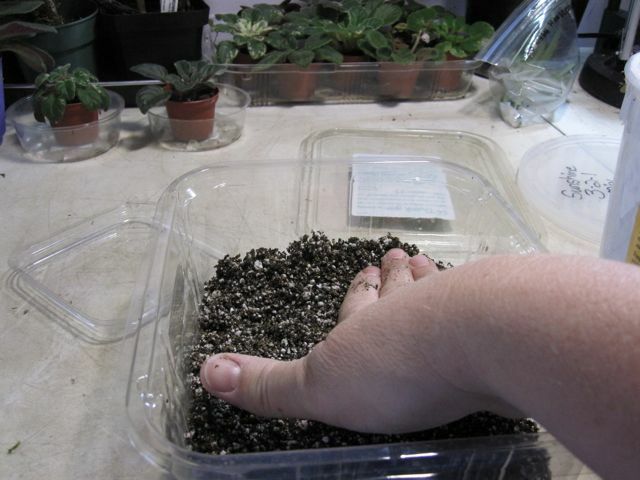 It can't hurt and might help, so... rub some long fiber moss between your hands and make a powder out of it. Sprinkle the sphagnum moss lightly over the surface of the soil mix. This is a seed pod from 'Emerald City' African violet. 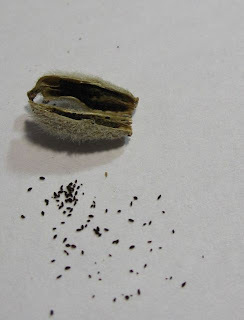 Note how small the seeds are when spilled from the open seed pod. 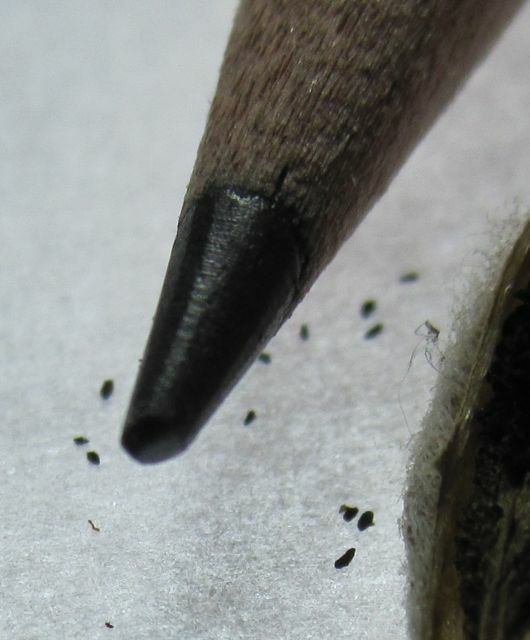 This is an ordinary pencil and it is magnified SO much that you can see the wood fibers of the pencil clearly and yet the seed is still so tiny. 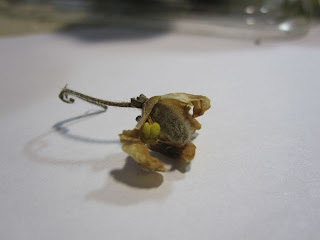 Gesneriad seed is very, very small. Using a sheet of white paper (so you can see the seed as it falls) place seed onto the SURFACE of the moistened soil-dusted-with-sphagnum mix in the container. The seed needs light to germinate, so do not cover it or bury it. Cover the deli box with it's lid. 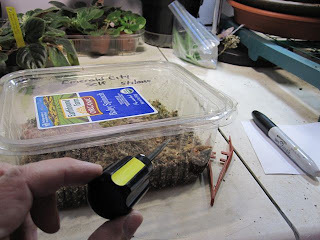 Label and date the box with a Sharpie marker. Put a couple of small air holes into the container. 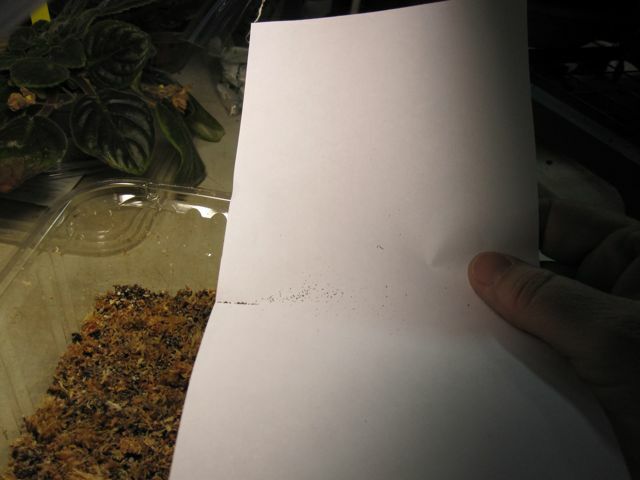 Small holes will allow air to be exchanged, but it won't allow the soil to dry out too fast. The last photo is a shot of the seed as it looks sitting in it's pod. Think of how peas lay inside their pea-pod. These are just a ga-billion times littler. Comment on this article please.